According to leaker Ishan Agarwal, who has been reliable with OnePlus information in the past, the company release an affordable OnePlus 7 model, accompanied by a "Pro" version and a separate 5G-capable "Pro" model, the latter of which will launch in select markets only. This makes sense, considering the recent trend of releasing three differently-priced models for each generation of flagships. Apple did it with the iPhone XS, XS Max, and the XR, while Samsung followed suit with the Galaxy S10, S10 Plus, and S10e. Google is also rumored to release more than one Pixel 4 model later this year. According to the leaker, three variants of the OnePlus 7 have been confirmed, including a base, "Pro" and 5G "Pro" models. 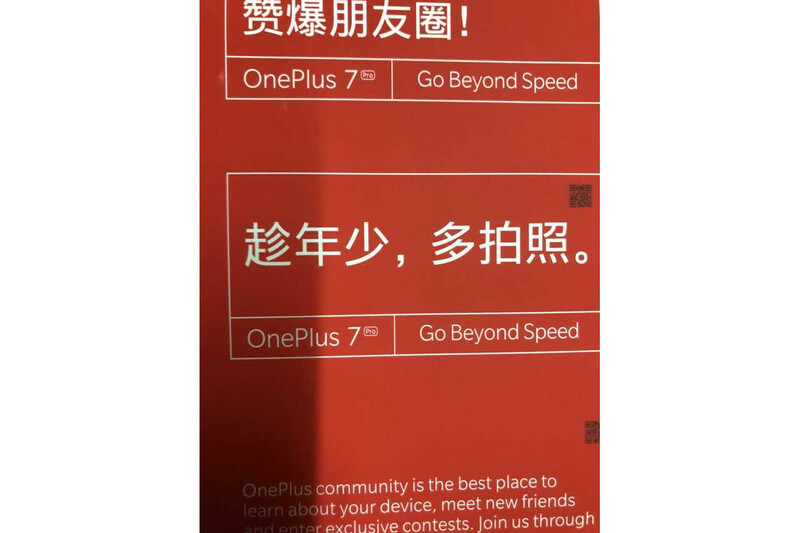 Agarwal also shared a handful of images on his Twitter, including what looks like an official booklet, revealing the "Go Beyond Speed" tagline, which is totally something we'd expect OnePlus to come up with. 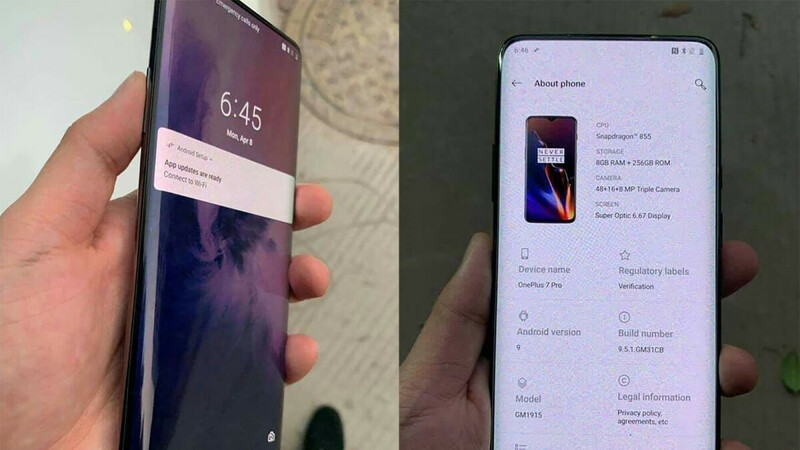 The other images are alleged photos of the OnePlus 7 Pro itself, though we're not entirely convinced in their legitimacy, not the least bit because Agarwal himself can't confirm anything. The leaked photos seem to depict a bezel-less device that allegedly has some sort of a pop-up selfie camera. However, in one of the images where software information can be seen on the screen of the device, there is an image of the OnePlus 6T, instead of the 7 Pro. Further down, under "Device name," the OnePlus 7 Pro moniker is listed. This could be a prototype device running an unfinished build of the operating system, or the image could have been doctored. Seeing as how OnePlus hasn't exactly excelled at keeping things under wraps in the past couple of years, we wouldn't be too surprised if this leak was mostly correct, including the May launch window predicted in the Tweets. If you want to learn more about the upcoming flagship killer, check out our OnePlus 7 rumor review. Wow next month, fantastc news. No its right. This was same when OnePlus 5T had OnePlus 5 image for Android Pie when it was in beta. If this is true, I hope the base model has a flat screen. Curved screens are worse than a notch. I agree with that, flat screens only! So, 7, 7pro, and 7 5G? I don't know what the difference would be between the 7 and 7 Pro. 12gb Ram + 256gb storage or more? normally OEM's call them Pro just for the added Ram & Storage capacity and maybe an extra feature.